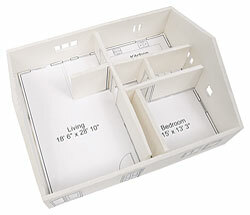 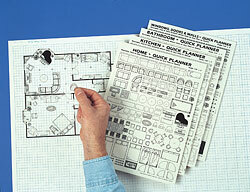 The 3-D Home Kit comes with design notes outlining model building, site analysis, and design tips. 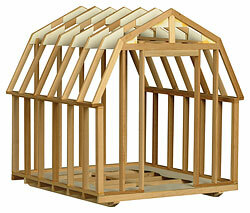 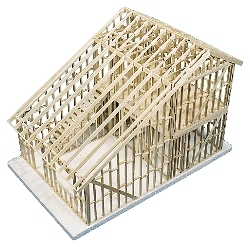 Use it to create one four-story home of up to 6,200 square feet or several smaller homes with additions. 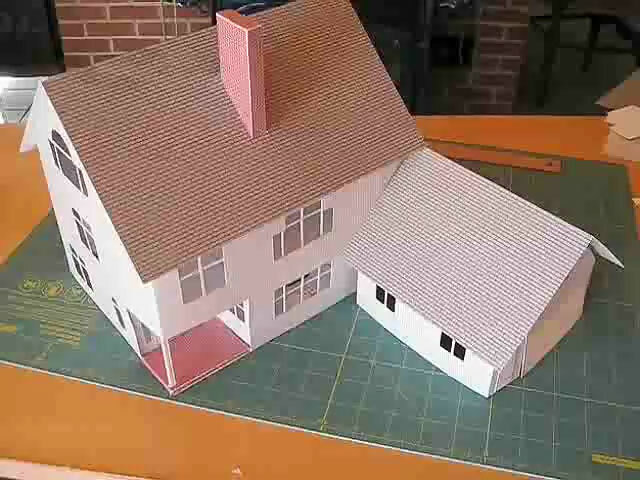 All modeling materials are printed on heavy-grade, 12" x 18" cardboard. 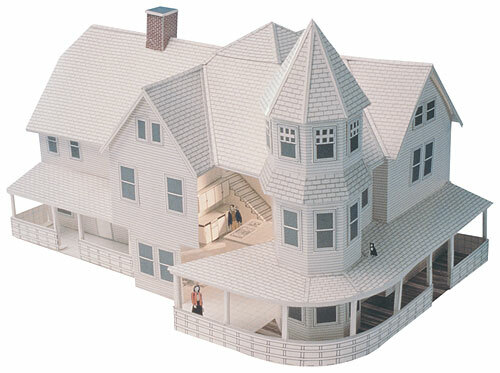 One side is printed with a 1/4" grid for sizing and cutting; the other is printed with color photographic replicas of building materials: siding, brick, roofing, stairs, windows, and more. 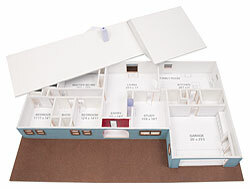 Recipient of Duke University’s five-star rating.